Atex product | IS1+ is the world’s most widely installed remote I/O system in hazardous areas. In conjunction with over 30 years of experience and know-how with solutions from R. STAHL is thus almost every task possible. The system is continuously extended and improved with new functionalities. Today it features a wide range of communication protocols including Ethernet connectivity and simple integration into asset management systems with a powerful DTM. Besides support of modern protocols, a long-lived and flexible I/O level is required as well. 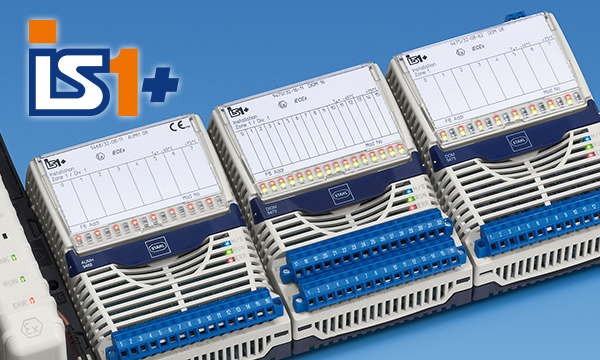 Based on experience with thousands of globally installed systems, R. STAHL now presents the most up-to-date I/O modules with IS1+. The futureproof system solution for complex requirements in hazardous areas of today and tomorrow. Installation in hazardous areas Zone 1, Zone 2, Division 1 and Division 2.